As well as being known for it’s fish and tea, Genkai has some absolutely stunning views; it’s most certainly worth the drive. 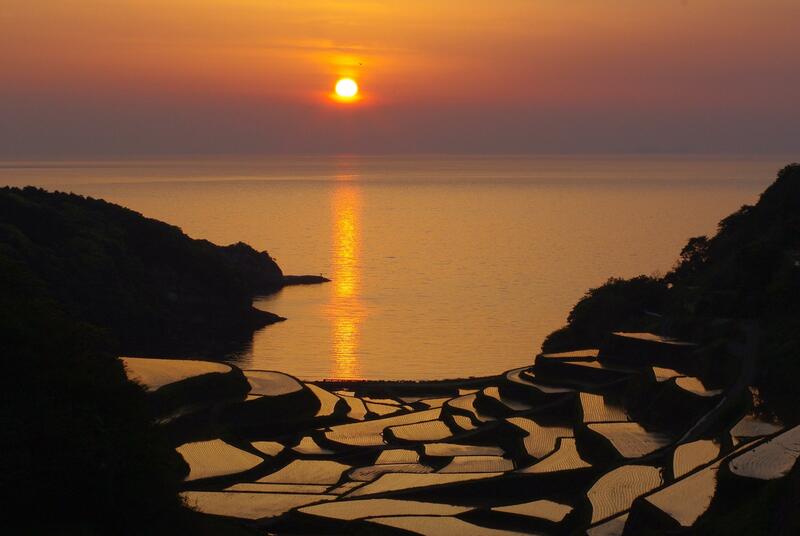 Hamanoura terraced rice fields – the location of one of Saga’s most iconic images (see below). The first week of May is supposed to be the best time of year to photograph. There’s a small omiyage type place that sells basic drinks/snacks and an amply-sized parking lot. Kaijō Onsen Parea 海上温泉パレア – very nice facility. Open until 10pm. (get there before 9pm).￥500 for onsen, ￥300 for training, ￥300 for pool.